Before providing first aid, you need to assess the ill or injured person in order to find out what the problem is. Then take the following steps for finding the problem. ● Make sure the scene is safe. ● Ask them what the problem is. ● If they only move and moan, but can’t form coherent words, shout for help. Call 9-1-1 or send someone else to do it, and get the first aid kit or AED. ● Look for the obvious signs of injury. ● Look for medical information jewelry to find out if they have any serious conditions. In most cases, you should not move someone when giving first aid. This is especially important if you think they may have a pelvic or spinal injury. ● If the area is unsafe. You should move them to a safer place before giving aid. ● If the person is unresponsive and breathing normally, you may roll them onto their side. By doing so, you may keep their airway open in case they vomit. If possible, grab them by the clothes while moving them to safety. 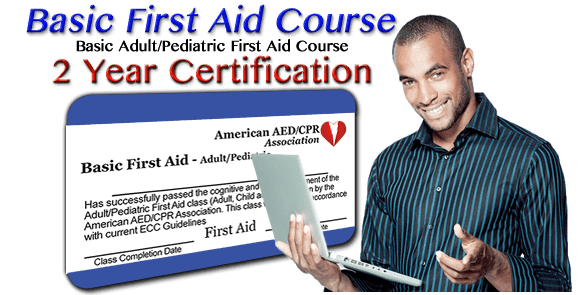 As a first aid responder, you may learn private things about some of the people you help, such as medical conditions. Generally, the only people you should tell about this are the EMS rescuers, who need to know in order to do their jobs properly. If you are in your workplace, you may also need to give this information to your supervisor. Do not share private information with friends, coworkers or anyone who doesn’t need to know. If you work in the healthcare industry, you may also be bound by HIPAA laws and policies.